If you have a smartphone, get push notifications by clicking here and entering your name and phone number. If you want text notifications, text the message @ihspanews to the number 81010. If you want email notifications, simply send an email to the address ihspanews@mail.remind.com (subject and message can be blank). That’s all you have to do to make sure you don’t miss a thing about IHSPA! This service is to be used for event and deadline reminders, not spam. Subscribers can expect to receive no more than 10-12 messages for the entire school year and can unsubscribe at any time. 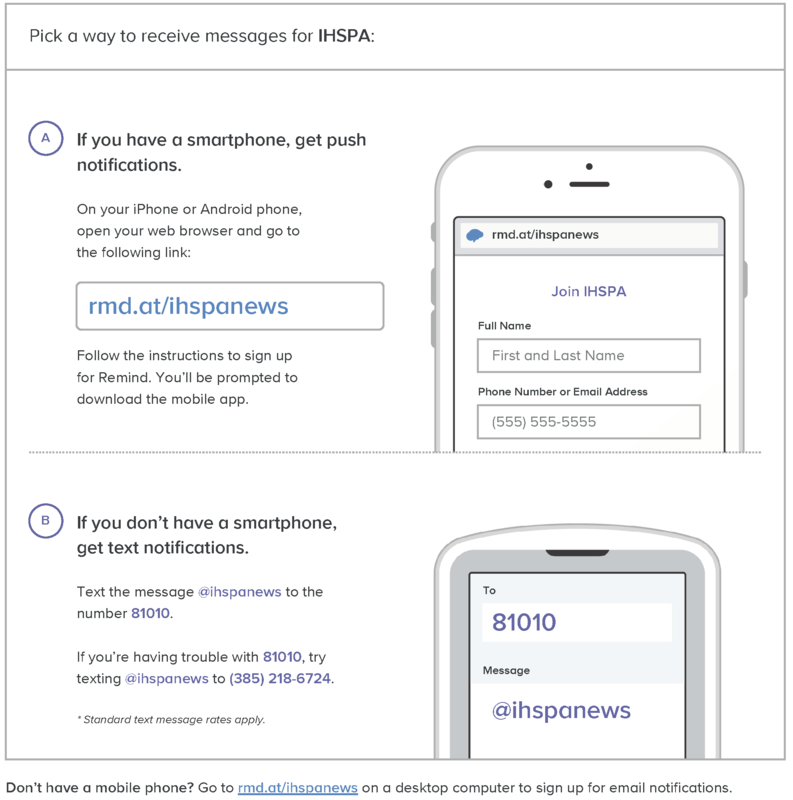 Remind does NOT provide IHSPA with phone numbers or email addresses, so subscriber material cannot be used for anything other than notifications. Please contact IHSPA Director Ryan Gunterman at pgunterman@franklincollege.edu with any questions/concerns.